Raw Beauty is the Makeup Trend for 2014; with a supple pink glowing skin and LED lips to give you a natural yet sophisticated look. Colours used on the face are to be of contrast. Lips; bright with almost neon shades of pink, orange and magenta as compared to a more subtle eye colour of brown, beige and coral tones. A simple yet impactful lip makeup is the perfect finishing touch to your look, regardless of the colour. 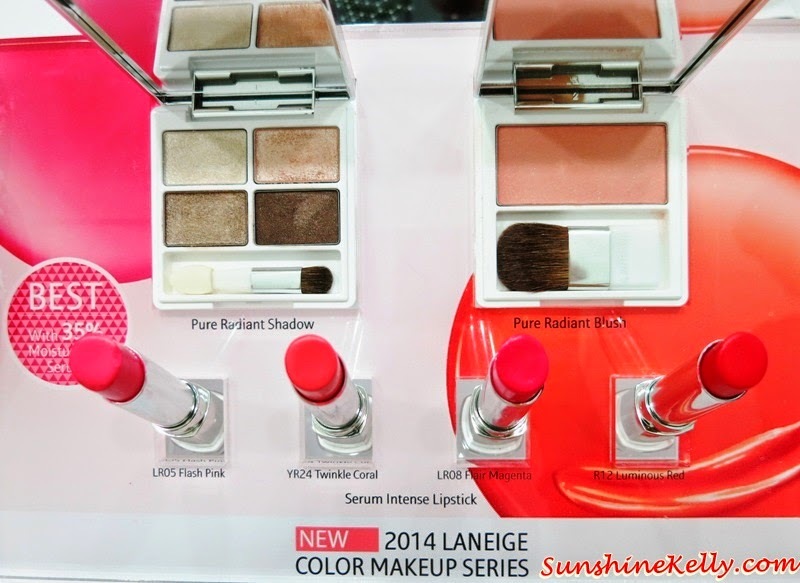 To achieve the ‘raw beauty’ makeup trend, Laneige presents its latest makeup collection that includes the Laneige Serum Intense Lipstick, Laneige Pure Radiant Shadow and Laneige Pure Radiant Blush. 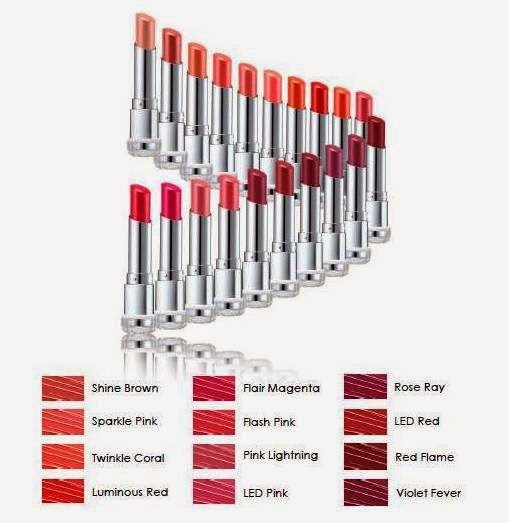 Nicknamed LED Lipstick, the Serum Intense Lipstick has excellent moisturizing power and vivid colours. 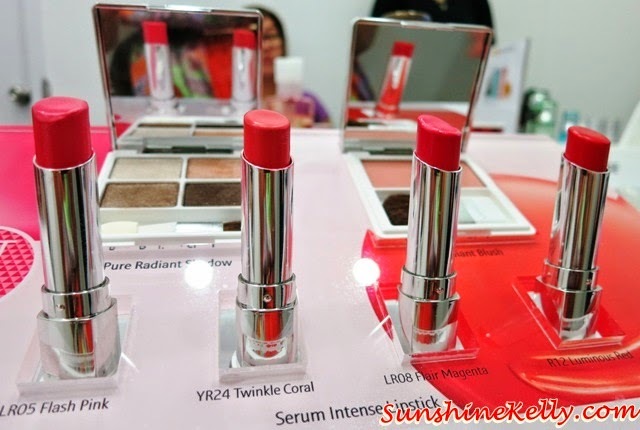 It contains 35% serum component which makes it extremely glossy. Technology employed into producing this lipstick include Triple Moisturising Factors; ShineLED Base & Pigment Downsizing Technology & Soft Sliding Maximization Design. The Pure Radiant Shadow features a trendy mix of metallic and matt pastel colours. 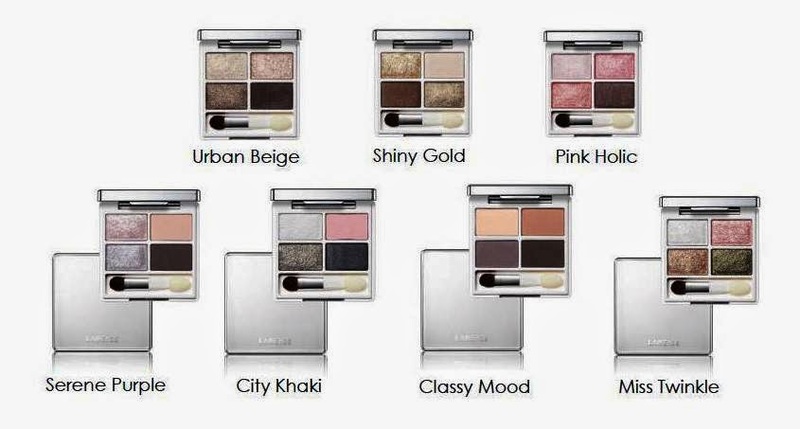 Mix and match from multiple 4-colour multi shadows to give your skin the radiant glow. 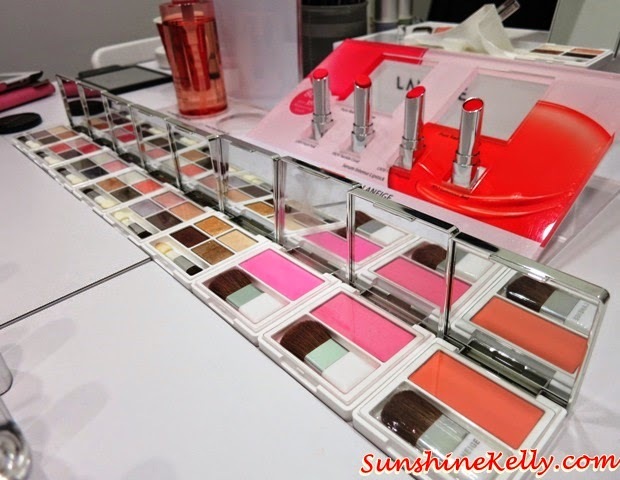 To ensure that the colours are vivid, ultra fine and consistent particles are used in the formulation. Sponge-like Puffy Elastic Powder is also used to enable the shadow to be spread evenly and smoothly, keeping the colours lump free and light. 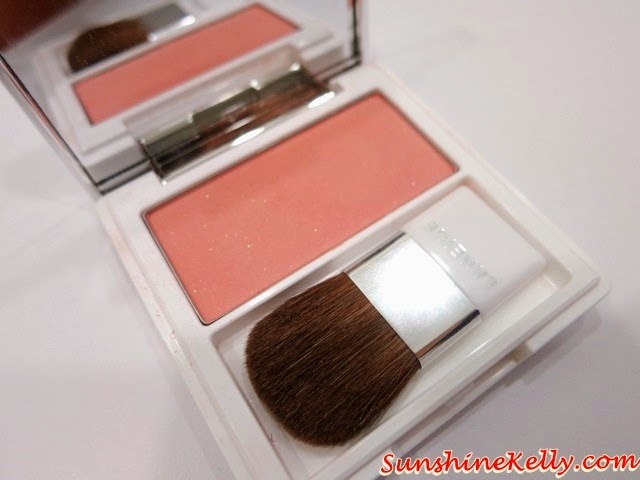 Each of these Multi-Shadow comes with a tip and brush applicator. 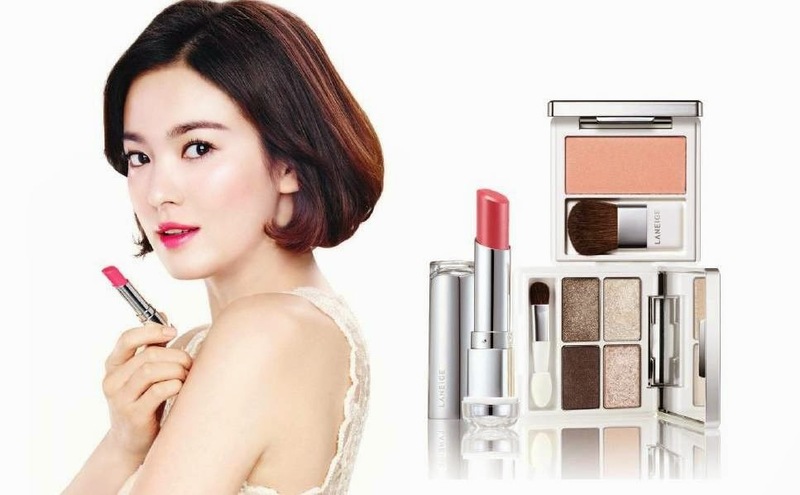 Available at: AEON Mid Valley, AEON Bandar Utama, AEON Kinta City Ipoh, AEON Bandaraya Melaka, AEON Bukit Indah Johor, AEON Queensbay Mall Penang, AEON Tebrau City Johor, PARKSON Pavilion, PARKSON Sunway Pyramid, PARKSON Sungei Wang, PARKSON KLCC, PARKSON Bandar Utama, PARKSON Subang Parade, PARKSON Setia City Mall, PARKSON Gurney Plaza Penang, PARKSON Mahkota Parade, PARKSON The Spring Kuching, PARKSON One Borneo Kota Kinabalu, PARKSON Bintang Mall Miri, PARKSON Ipoh Parade, ISETAN Lot 10, ISETAN The Gardens, ISETAN KLCC, Sephora Paragon Penang, Sephora Starhill, Sephora KLCC, Sephora Sunway Pyramid, Sephora Paradigm, KL Sogo - LANEIGE Boutique, Sunway Pyramid.